Philando Castile would have turned 33 years old on July 16, mom says. 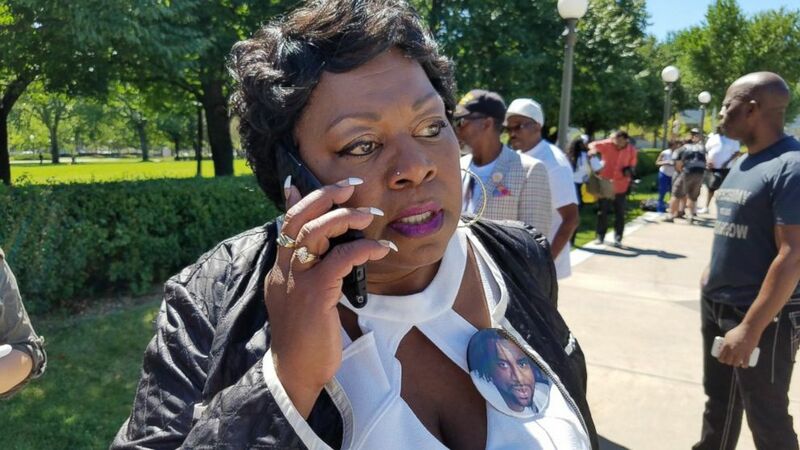 The mother of Philando Castile, a black man who was fatally shot by a police officer in Minnesota, says her son "is a driving force in me to make sure this doesn't happen to another mother." "It's been going on too long," Castile's mother, Valerie Castile, said today. "I used to look at TV and see other parents under these same circumstances and say, 'Wow, I hope that would never happen to me.' But it has." "I am devastated," she said. "But I have to get a message out from [Philando]." Philando Castile was shot several times after he was pulled over with his girlfriend, Diamond Reynolds, and Reynolds' 4-year-old daughter in Falcon Heights, Minnesota, last Wednesday. He later died at the hospital. Valerie Castile told reporters today, "My son was a humanitarian. He was a pillar in this community. ... He didn't deserve to die like that." (Tim Nelson/Minnesota Public Radio News) Valerie Castile took a call from President Obama, July 12, 2016. She said Philando Castile would have turned 33 years old Saturday, July 16. Castile's funeral service has been scheduled for Thursday, July 14. Glenda Hatchett, who is representing the Castile family, told reporters there will be a lawsuit. She did not immediately share additional details. Hatchett, who is known for her TV show "Judge Hatchett," said Castile was not fighting with the police, was not trying to get his gun and was not doing anything unlawful. "This was a man who was doing everything right," Hatchett said. 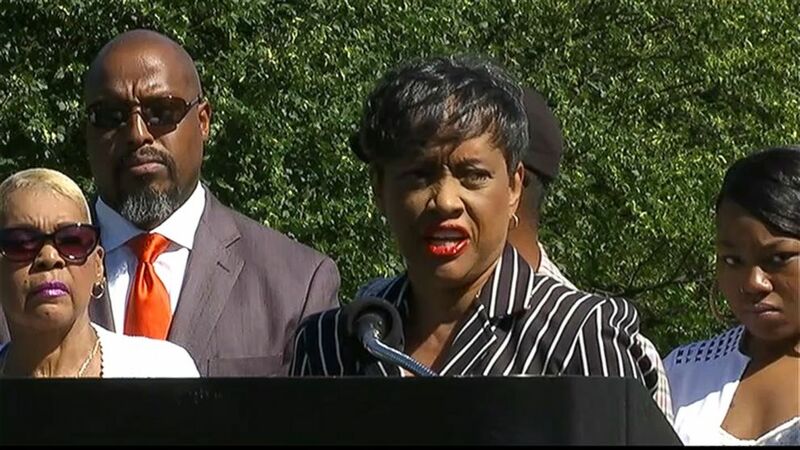 (KSTP) Glenda Hatchett speaks at a news conference with Philando Castile’s mother Valerie Castile, July 12, 2016. The two St. Anthony police officers involved, Jeronimo Yanez and Joseph Kauser, were placed on administrative leave after Castile's shooting. The Minnesota Department of Public Safety Bureau of Criminal Apprehension launched an independent investigation on the use of force. The Department of Justice said it "will continue to monitor the Minnesota Bureau of Criminal Apprehension investigation into the death of Philando Castile and stands ready to provide assistance to the Bureau as needed." The Bureau of Criminal Apprehension said Yanez was the shooter. Tom Kelly, an attorney for Yanez, said Monday that Yanez thought Castile looked like "a possible match" for an armed robbery suspect, according to the Associated Press. Castile caught Yanez’s attention, Kelly said, according to the AP, and "that was one of the reasons he pulled him over." Kelly did not immediately respond to ABC News’ requests for comment. Hatchett said today, "We will not depend on the [Bureau of Criminal Apprehension] investigation. ... We will have the best team possible on this matter." "As we proceed in this matter, my responsibilities are on the civil side," Hatchett said, adding she will be closely monitoring the criminal side. "I will be asking that a special prosecutor be appointed," Hatchett said. She said she will reach out to the Attorney General because she wants the federal government to watch this case "closely." Hatchett said she will ask for a comprehensive evaluation of laws in Minnesota, as well as federal laws. She said all police departments need to have a system for looking at how police officers are hired, trained and what happens when there are citizen complaints. "We've got a lot of work to do and that work is just beginning," Hatchett said.